Elaine A. Zlevor, age 87, passed away unexpectedly on Thursday morning, January 11, 2018 at St. Monica’s Senior Living Center. Elaine was born in Racine, October 2, 1930, daughter of the late John J. and Frances (Nee: Loub) Schliesmann. 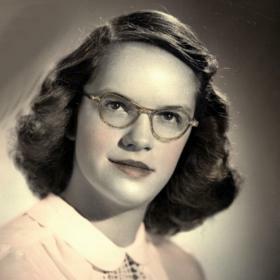 Elaine was a graduate of St. Catherine’s High School “Class of 1948”. She was employed by Hamilton Beach Company from 1948 to 1955. 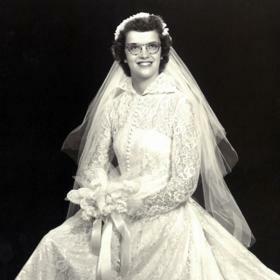 On July 26, 1952 at St. Rita Catholic Church she was united in marriage to William L. Zlevor. 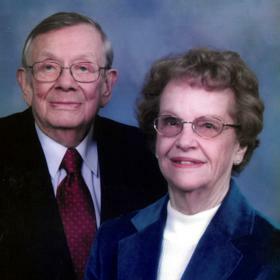 They shared sixty beautiful years together before Bill passed on November 9, 2012. 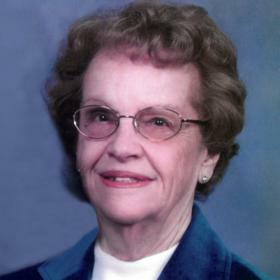 Elaine was a longtime member of St. John Nepomuk Catholic Church serving on the parish council for many years. She was actively involved as a Den Mother, Girl Scout Leader, and a volunteer in the gift shop at Wheaton Franciscan-All Saints for twenty-five years. An avid Packer fan, Elaine also enjoyed tending to her flower garden, and loved entertaining with family and friends. She enjoyed her long friendships of sixty-two years with her St. Catherine girlfriends and their monthly luncheons. Above all, Elaine’s greatest joy was being a mother and grandmother. She will be deeply missed. 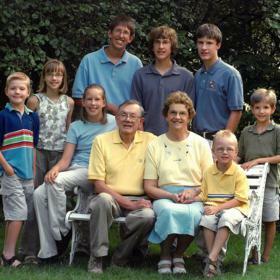 Elaine will be cherished in memory by her children, Mark (Cathie) Zlevor of Burlington, WI, Dr. Michael (Irene) Zlevor of LaGrange Park, IL, Mary Beth (Jon) Botting of Racine, Jane (Peter) Bayer of Parker, CO; her grandchildren, Don (Kelly) Zlevor, Erik (Kate) Zlevor, Kelsey Zlevor, Zachary Zlevor, Kevin (Colleen) Botting, Claire Botting, Peter Bayer, Cole Bayer; great grandsons, Noah and Grant Zlevor; brother, Jack (Nancy) Schliesmann; sister, Carol Robotka; brothers-in-law and sisters-in-law, David (Adele) Zlevor, Winifred Winser, Lyle Septon; nieces, nephews, other relatives and many dear friends. In addition to her parents and husband, Elaine was also preceded in death by her sisters, Rosemary Septon and Marilyn Hagner. A Mass of Christian Burial will be celebrated at St. John Nepomuk Catholic Church, 1903 Green Street on Tuesday January 16, 2018, 11:00 a.m. Interment will be held at Holy Cross Cemetery. Relatives and friends may meet with the family at the church on Tuesday from 9:30 a.m. until time of Mass at 11:00 a.m. Memorials to St. John Nepomuk Catholic Church or to St. Catherine’s High School have been suggested.